If you’re looking for a Beautiful Bedding Set with the combination of Colors, then you’ll find here many to choose one of them, which you like the most according to your Budget and Room Decor. They are made with the combination of Colors; such as-Yellow, Grey and White. Here on this Online Site-Ease Bedding you’re going to find not only Bedding Sets with the combination of Colors, but also you’ll find Simple, but Modern Bedding Sets with Reasonable Prices! Shop for many Color Option Bedding Sets on Sale! 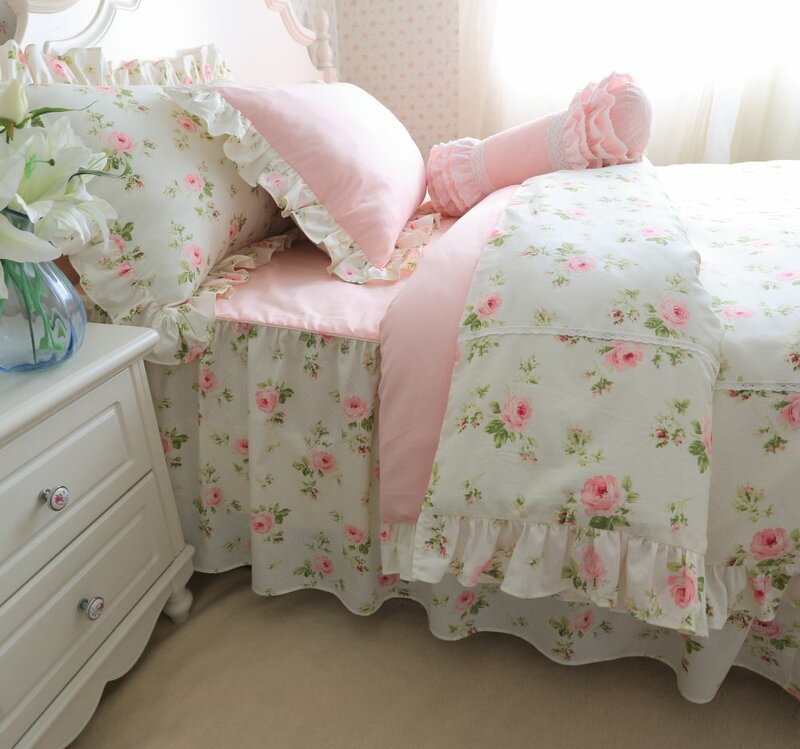 Turn your home into a haven with this beautiful Comforter Collection. In these Bedding Sets, you’ll get, what you need to Decorate your bedroom such as comforter, pillow shams, and bed skirts. 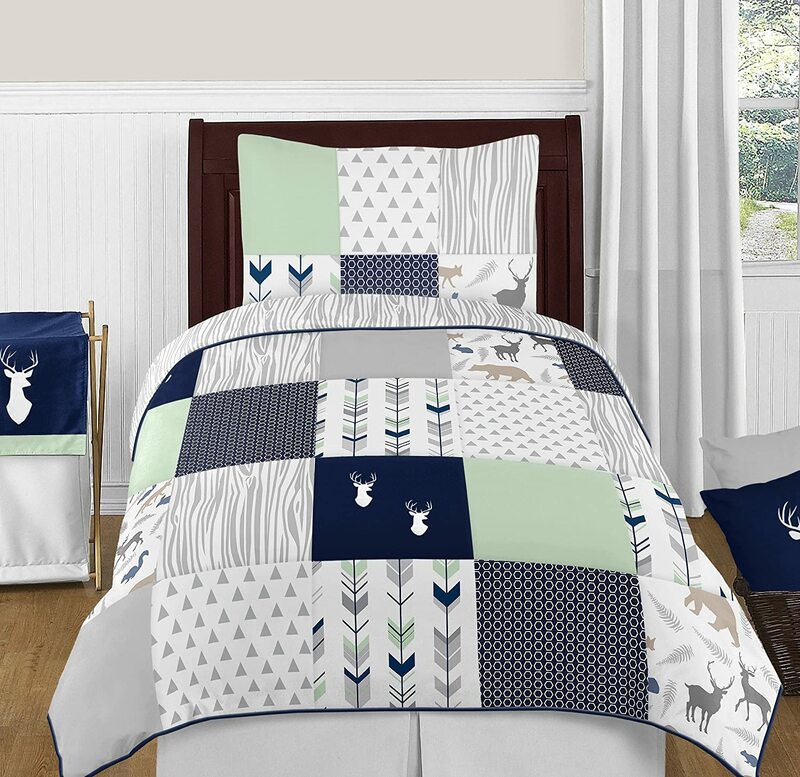 These Comforter Sets are designed to use for Year round! This is a brand spanking new and beautiful Bedspread, just to Enjoy its Comfort. Available in 4 vibrant colors so you can redesign your Bedroom in no time! Lola is the perfect solution to an updated, modern print look. 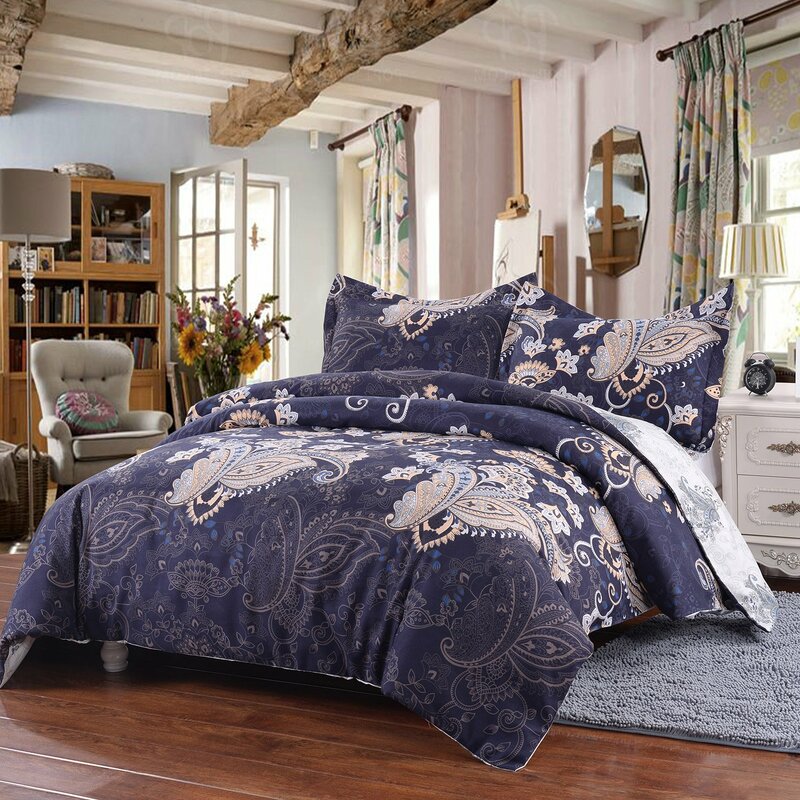 This comforter collection features an overscaled Floral print Design printed on 100% cotton fabric for a super soft hand feel. The Comforter Set is Reversible and reverse of the comforter is a Soft White color that coordinates with the Grey, white and Yellow from the face of the comforter. The decorative pillows feature embroidery and piecing details. The bold Yellows, cool Grey and crisp whites make a beautiful and stylish statement. One Comforter, Two Shams, One Bed skirt and Three Decorative pillows. This ensemble offers expertly crafted embroidered patterns that complete this amazing look. This Gorgeous Comforter Set is made with 100% high quality microfiber and is machine washable, gentle cycle, in cold water for easy cleaning and maintenance. Tumble dry on low. White, Grey and Yellow, three Colors Available to choose from them! King and Queen, two Sizes available to choose the best Size! 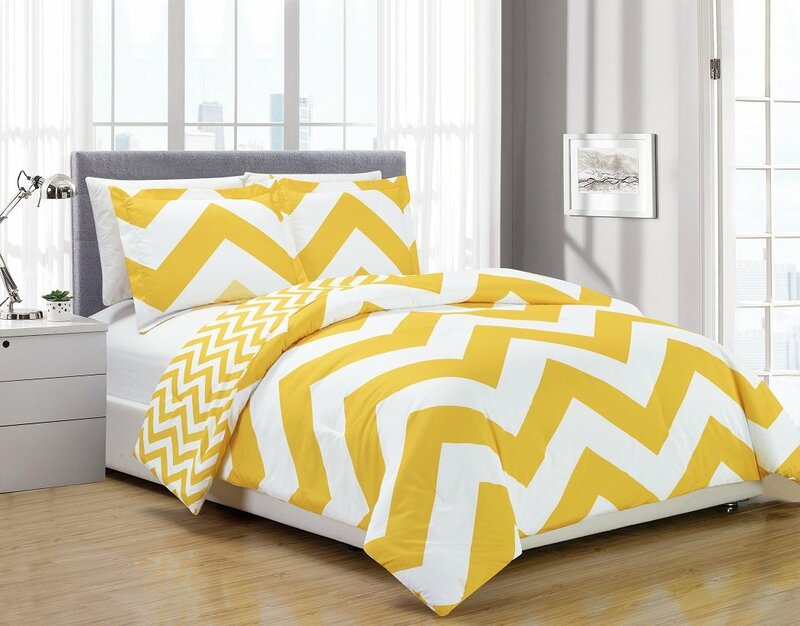 Update any bed in your home with the fun chevron design of this five-piece comforter set. The colorful stripes in a geometric pattern give energy and charisma to the room, and the set includes two decorative pillows and shams for a coordinated look. This machine-washable comforter set is also hypoallergenic, making it an ideal option for individuals with sensitive skin and dust allergies. 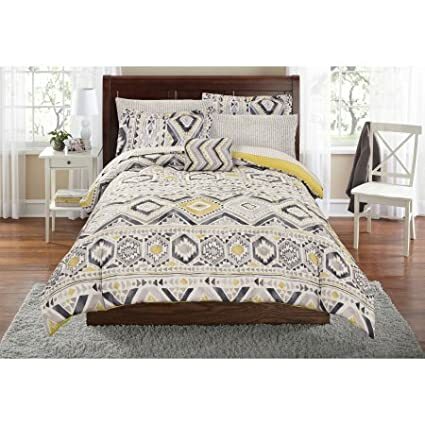 Update your space instantly with the Madison Park Nisha coverlet set. 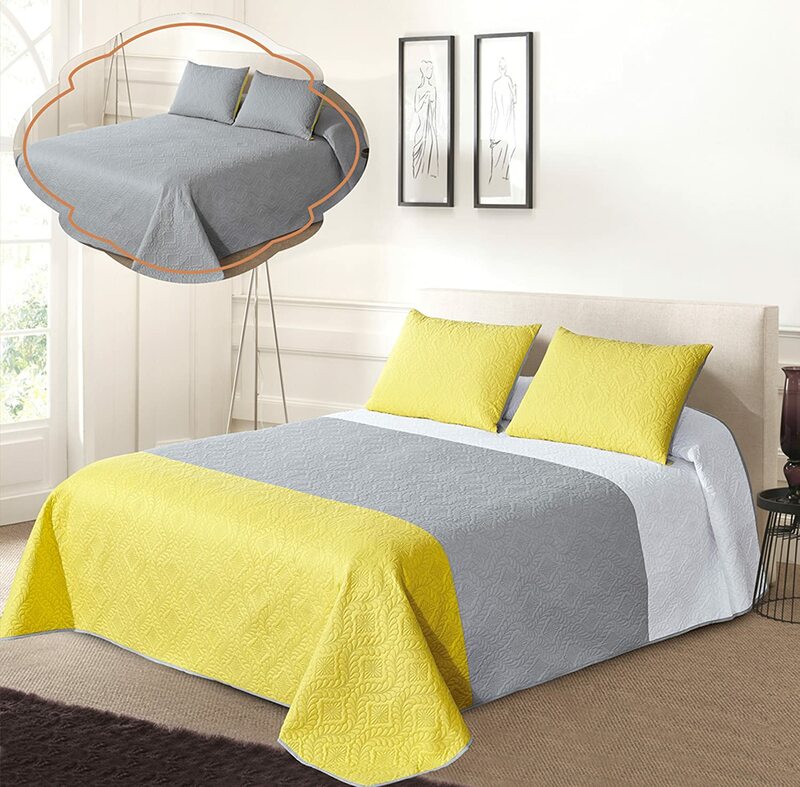 Buy this Bedding Set on Affordable Price and Sleep better to wake up each morning feeling refreshed and full with Energy! Silky soft, most comfortable and luxurious bed sheets you can find. Best for any room in your house – bedroom, guest room, kids room, RV, vacation home. Fade, stain, shrink and wrinkle resistant. Machine wash in cold. Dries quick on tumble dry low. More durable than cotton. 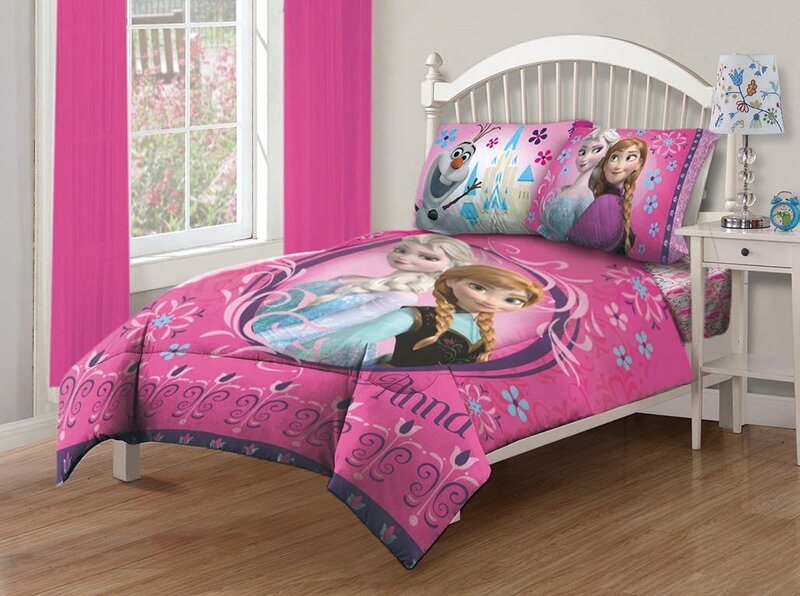 Disney Frozen Nordic Floral full bedding comforter set. Features Size: Full Machine washable. This seven-piece comforter set adds a classic touch to your master bedroom or guest room. 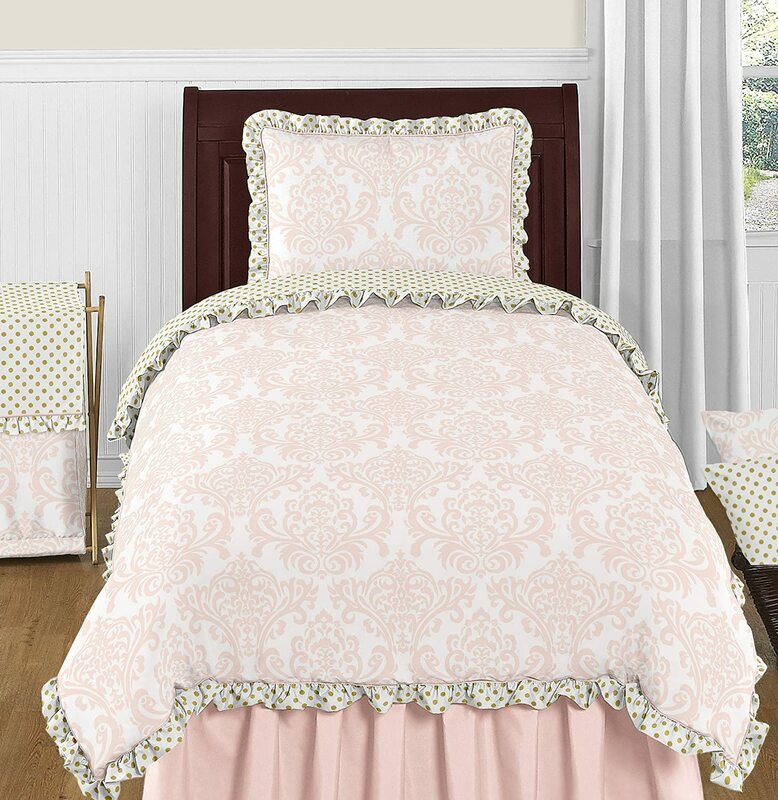 The matching comforter, bed skirt, two shams and three accent pillows allow you to decorate effortlessly. The Wise Wendy Complete Bed and Sheet Set by Mi Zone Kids will lighten up your bedroom with colorful owls and blossoming flowers. A fun pink sheet set with simple white daisies add a pop of color underneath your comforter, while a soft plush pillow that features a playful winking Owl completes the look. The Western Design Style, the unique taste, full of inspiration, filled with stylish and modern charm Bedding Set. This style leads you a advocate leisure, simple and fashion life. Flower type stereo feeling, rich colors, a sense of hierarchy and impressionistic style bring you a happy and joyful mood. Careful selection of fabrics, comfortable and soft feeling bring you the perfect silky enjoy.